Last month, South Korean technology giant Samsung slashed the price of its Galaxy A9 (2018) smartphone by Rs 3,000. While it was earlier priced at Rs 36,990, after the price drop it could be picked up at Rs 33,990. And in case you still haven’t bought the device but intend to, we have some good news for you. Samsung has again slashed the price of its Galaxy A9 (2018) handset, which is the first smartphone in the world to come with a quad-rear camera setup. Apart from a primary sensor, the smartphone also has a wide-angle sensor, a telephoto sensor and a depth sensor. The revised price of the Samsung Galaxy A9 (2018) is now listed as Rs 30,990 on the company’s official website. However, Samsung has done this quietly without making any noise about the new development. But then, it is being speculated as a permanent price cut on the Samsung Galaxy A9 (2019). 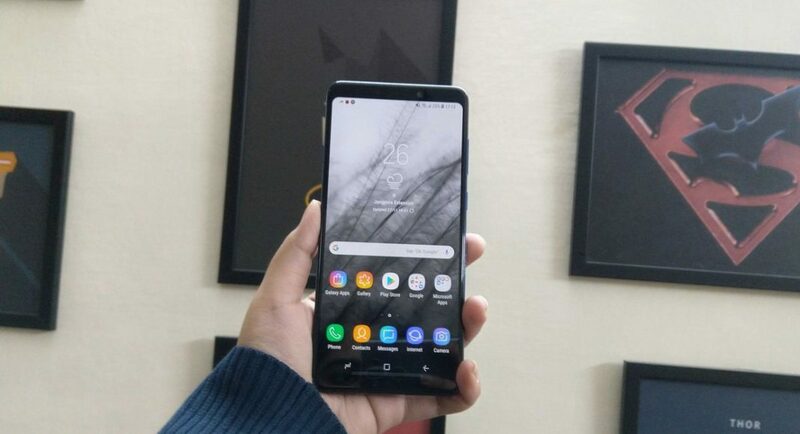 Considering that Samsung is consistently reducing the price of its Galaxy A9 (2018) device, could very well mean that the company is planning to soon launch the Galaxy A9 Pro (2019) that is speculated to come with an Infinity-O Display, just like the one we saw on Galaxy A8s. The device was launched in South Korea last month and it is priced at KRW 599,500 (approximately Rs 37,800), which is similar to the pricing of Samsung Galaxy A9 (2018). To recall, Samsung Galaxy A9 (2018) features a 6.3-inch full-HD+ Infinity Display that comes with a Super AMOLED panel and comes with an aspect ratio of 18.5:9. Powered by an octa-core Qualcomm Snapdragon 660 processor, the smartphone is available in 6GB and 8GB RAM options. For imaging duties, Samsung Galaxy A9 (2018) 24MP primary sensor with an f/1.7 aperture, a 10MP telephoto sensor with an f/2.4 aperture, an 8MP ultra-wide sensor with an f/2.4 aperture, and a 5MP depth sensor with an f/2.2 aperture. The primary camera of the smartphone uses a pixel binning technique that combines four pixels into one. For selfies and video calls, there is a 24MP front-facing snapper that is housed on the front panel of the smartphone.